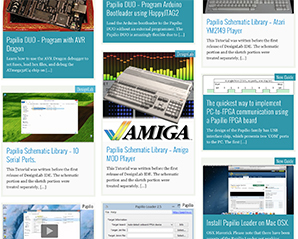 Need to connect some electronicmodules to your Papilio FPGA board? Look no further, the Papilio Digital Grove Wing opens up the incredible library of Grove building blocks for your use! Grove modules provide rock solid and proven designs for simple electronic building blocks such as gas sensors, joysticks, light sensors, and pretty much anything you can imagine. If you need an electronic widget and don’t want to bother with breadboarding then Grove is your answer. Just purchase the Grove module you need, connect it to the Papilio DigitalGrove Wing or the Papilio AnalogGrove Wing using the standard connectors and you are ready to go! Each Grove module comes with an Arduino Sketch that will work with the ZAP IDE, just take a look at the modules Wiki page to find the source code. 4 Digital Channels – Connect 4DigitalGrove devices to one Papilio Wing Slot! Easy Connections – Use the standard Grove connector to attach Digital Grove devices to the Papilio Digital Grove Wing. Large library of Electronic Widgets – The Grove product line has pretty much any electronic widget you could imagine. This single Wing opens up hundreds of possibilities to connect to your Papilio FPGA board! Note this unit does not include the connector cables, please be sure to buy a bundle of Grove connectors to attach your Grove modules to the Papilio Digital Grove Wing. This Wing allows you to connect Digital Grove modules, if you want to connect Analog modules then please take a look at the Papilio Analog Grove Wing. Current limiting resistors allow 5V components to be connected to Papilio FPGA. For more info and to get started with Papilio Digital Grove Wing , visit the hardware guide page. 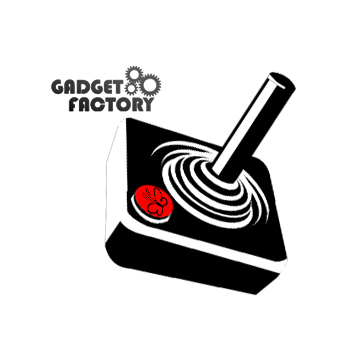 If you encounter any problems when using this product, visit the Gadget Factory Forum.